The chances are that many of your organization’s most valuable information assets reside in unstructured content – everything from images, Microsoft Office documents, graphics, drawings, web pages, and email, to content from social media. And for most organizations, both the volume of these information assets and the range of content formats have been increasing, on an upward trajectory that gets steeper every year. In addition, some of that content may be high risk, presenting a security threat for your organization. Information management services, particularly for unstructured content, have become critical for any enterprise organization. For more than 25 years, Doculabs has provided the actionable advice and best practices organizations are looking for to use enterprise content management (ECM) technologies to bring all this content under control. We also we provide the tools to help you make sure your content doesn’t put you at risk. 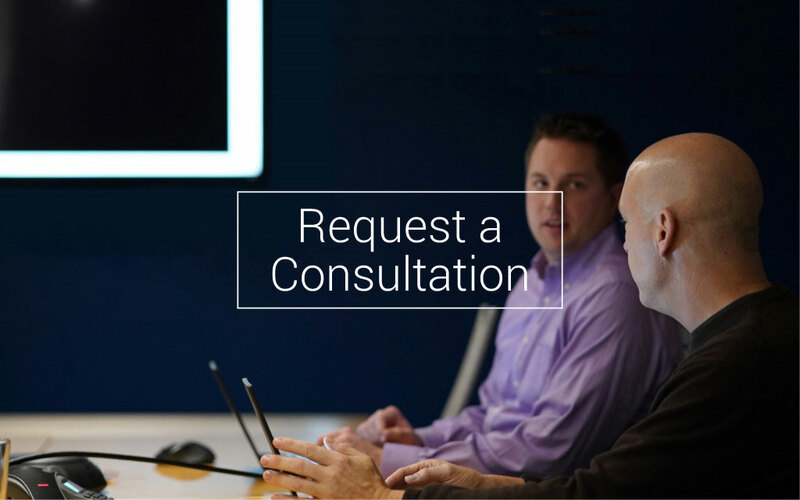 Whether your requirement is for a comprehensive strategy and a roadmap to put it in place, a framework for information risk and governance, a plan for data migration, or a benchmark assessment of your capabilities, Doculabs consultants can guide you on how best to use enterprise content management to support your business goals. Doculabs’ deliverables are designed to provide clear analysis and actionable recommendations. 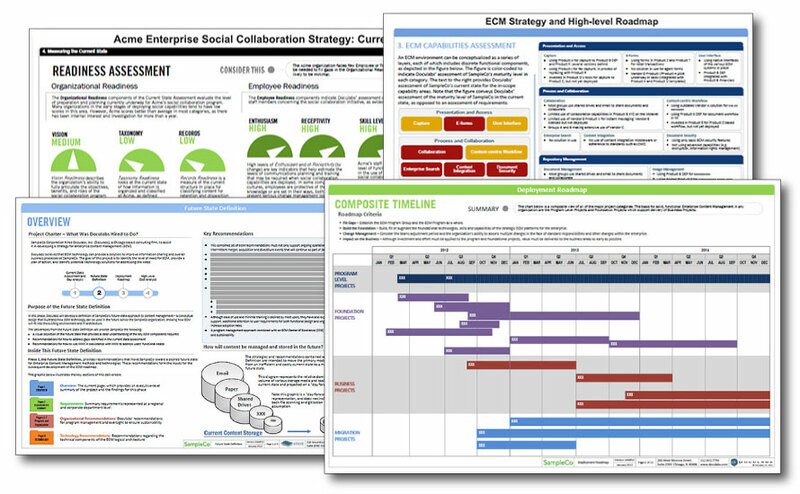 We deliver our project findings and recommendations in a graphic, dashboard-type format that’s easy to understand, showing complex relationships that can be difficult to convey in a written report. Our deliverables give a complete view of the objectives, key decision factors, and recommendations for each phase of the project, in a format that’s highly consumable: easily translated into presentation tools that our clients can then distribute to internal audiences, allowing them to share project findings without the need to reconfigure report data. 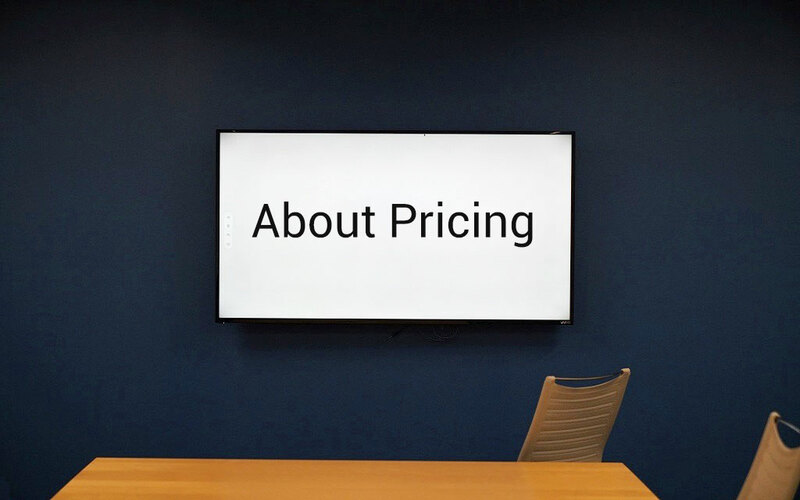 Our clients find our deliverables to be effective communication tools for sharing project findings with a set of stakeholders throughout the organization – from the project team, to executive management, to the broader user community as the recommendations are rolled out.